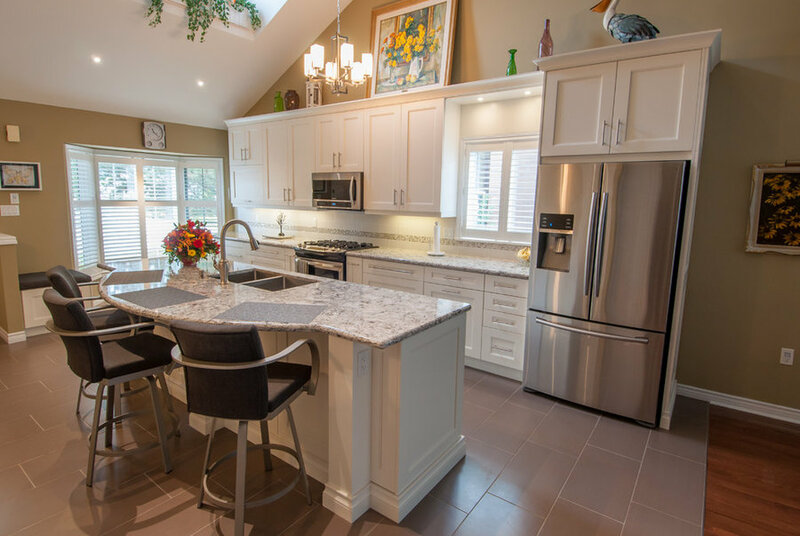 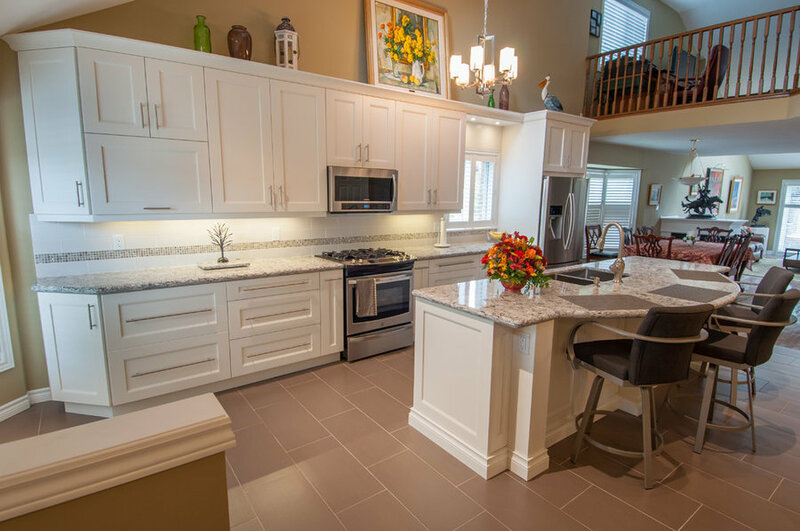 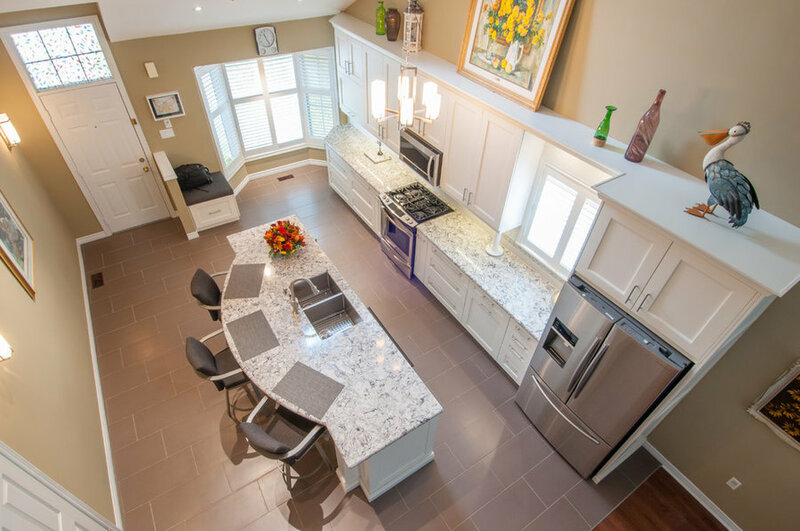 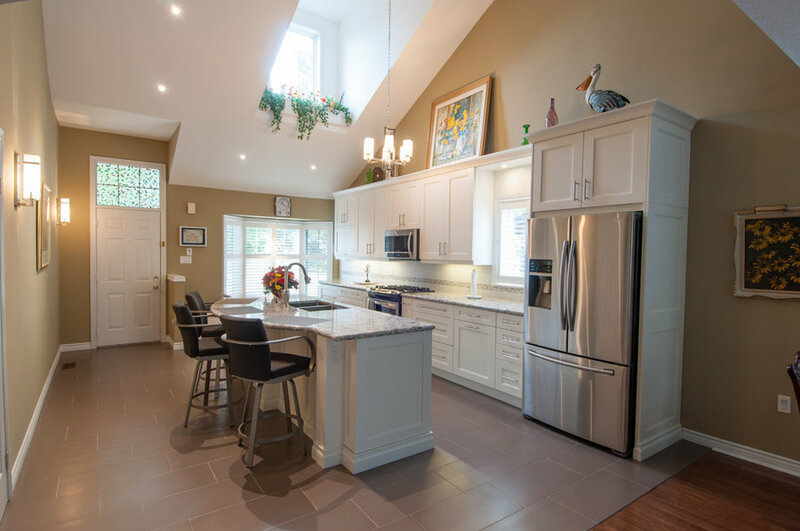 Beautiful open concept, white, transitional kitchen. 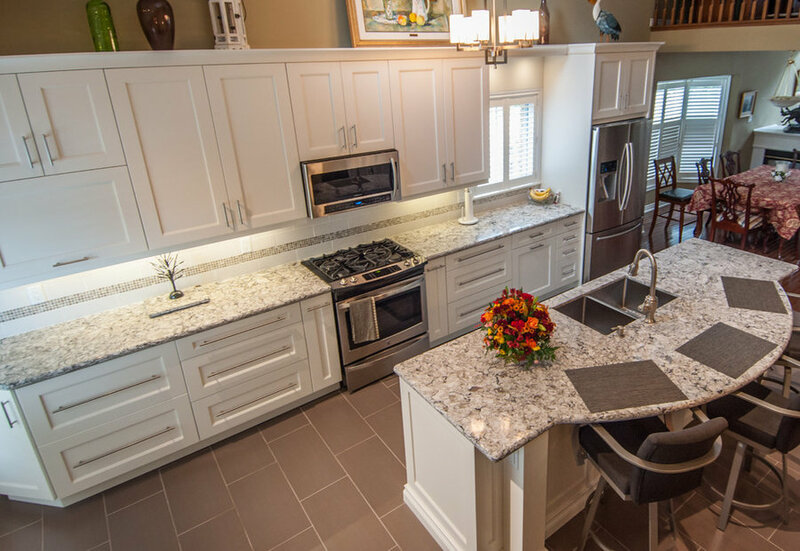 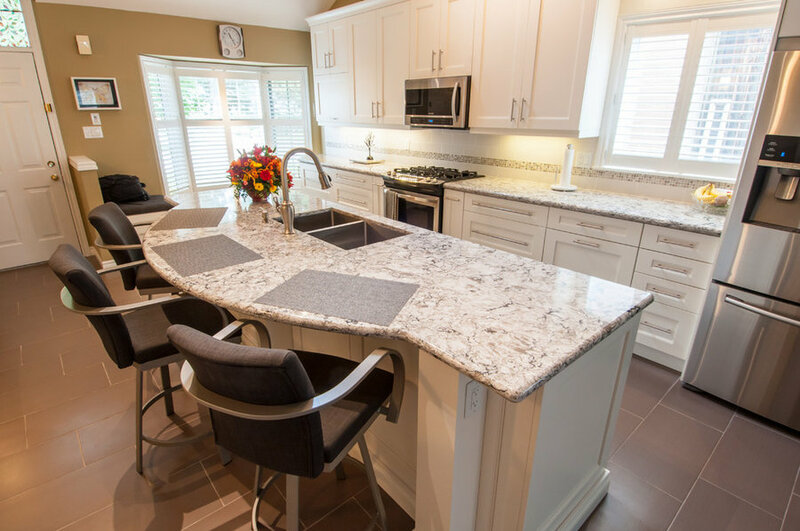 This space is finished with white shaker cabinetry, granite counter tops and stainless steel appliances and hardware. 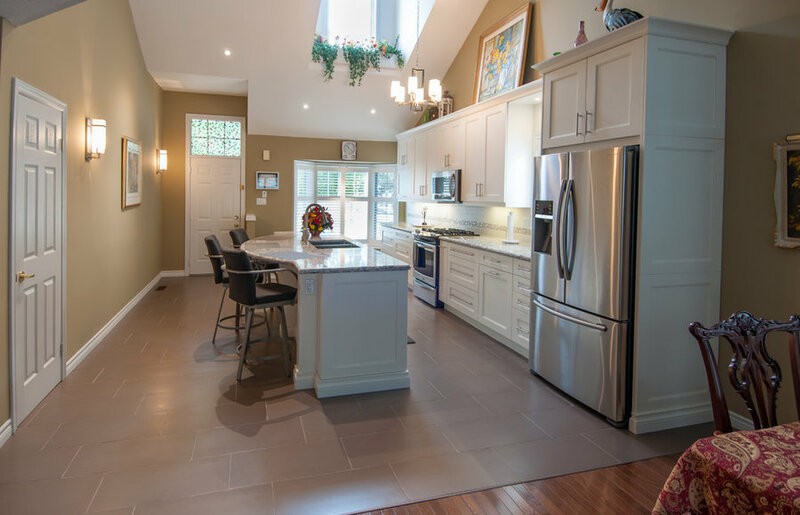 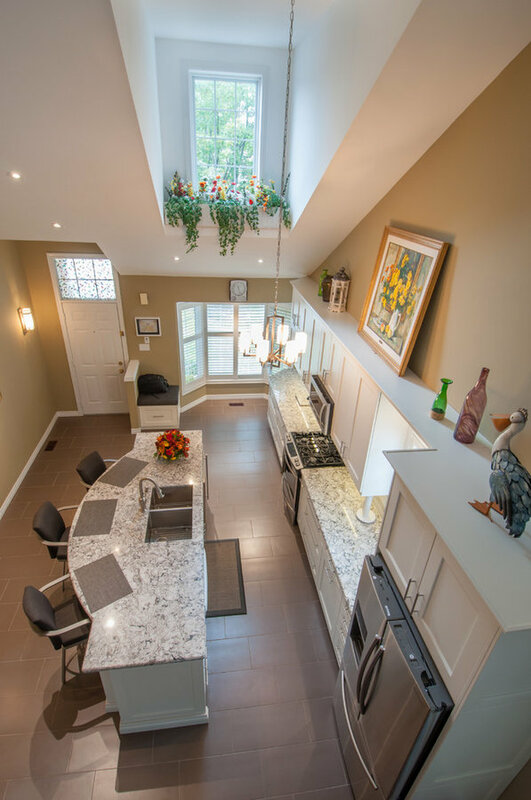 The skylight that cascades over the kitchen creates a more bright and welcoming space.